Established over 10 years ago, Kent Carpentry Construction is a reliable company based in Borough Green, Sevenoaks. They are a small firm specialising in carpentry and property maintenance in the Kent area. 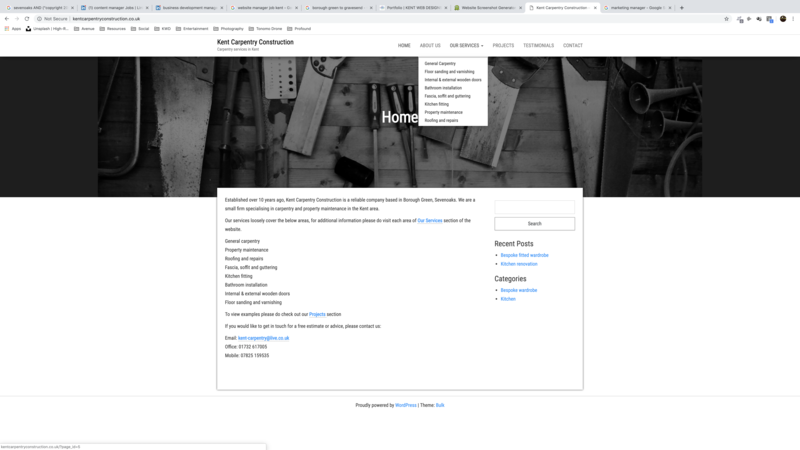 Kent Carpentry Construction approached us for local web design services, photography and copywriting. We have now been working with the team for 9 years now and have formed a fantastic relationship with the owner.